its free until you register in their website .. Continuing to use this version because 3.x from the Spigot forums requires Vault and I don't use it. This is still working for me on 1.10, and I would appreciate a 2.7.9 if it ever stops working. We are not updating 2.x anymore. We will only be maintaining our current version of EMP which is 3.x. Vault is simply an API that our plugins depend on, so having the plugin installed will not affect your servers gameplay mechanics nor have any effects on performance. I get a error saying my permissions plugin isn't setup correctly, even though it is. "[EnjinMinecraftPlugin] Economy plugin is not enabled." 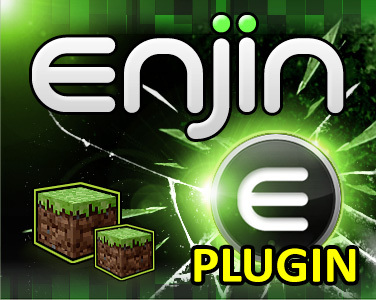 I'm getting a warning from Enjin saying "[EnjinMinecraftPlugin] Economy plugin is not enabled." I'm currently using iConomy and Vault. Any idea what could be wrong? v2.7.8 and onwards will no longer support auto update in preparation of 3.x releases. It is highly recommended you update to 2.7.8 if you do not wish to auto update to 3.x when it is available. If you do update to 2.7.8 and would like to update to 3.x then you will need to check for an available 3.x release from time to time and download it manually when it is available. Optionally, if you would like to download beta versions of 3.x you can download them from the spigot resources and help us to find and stomp out any remaining bugs. 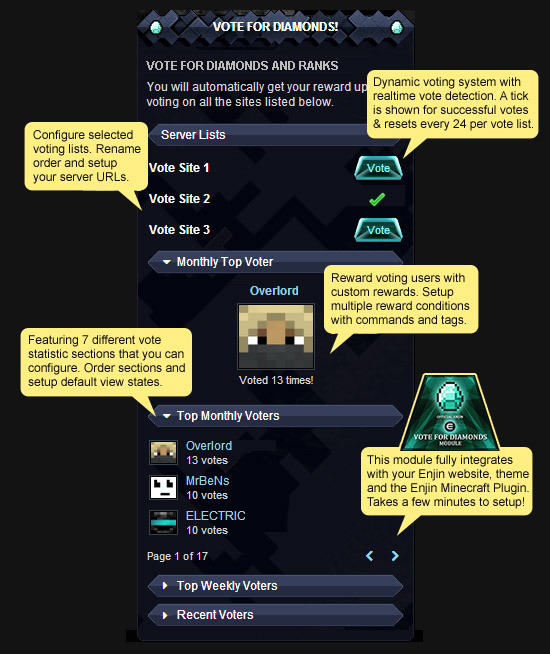 I posted it on the Enjin forums but no response. I'm honestly not sure. 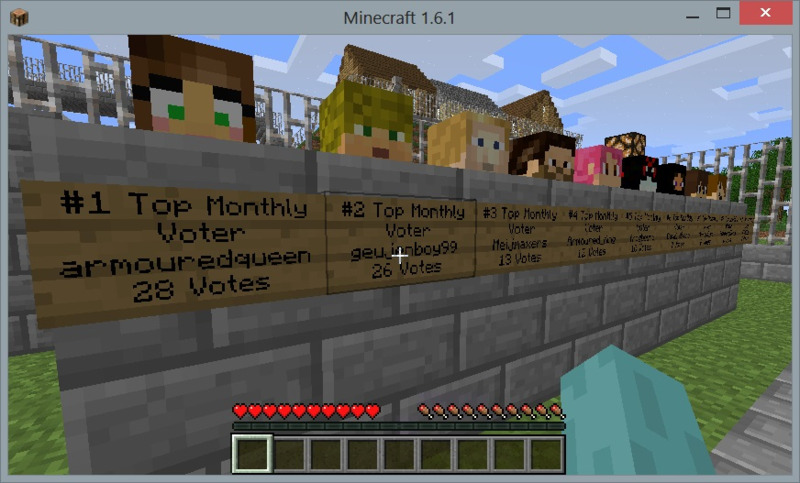 I believe the currency related signs only show data regarding DonationCraft stores. You would need to submit a support ticket requesting the feature as I only develop the plugin itself, not the web api. i have stretch goals on my server. does the money gathered via the stretch goals get added to the [moneyspent] sign statistic if not can we add it to it?